Bariatric surgery is an established treatment modality for cases of severe obesity (morbid obesity). Morbid obesity is now recognized as a chronic disease process that after many years affects quality of life and shortens life span. This results from obesity associated conditions such as high blood pressure, type 2 diabetes, sleep apnea, obesity hypoventilation syndrome, weight bearing osteoarthritis and chronic fatigue. Diet and life style changes, although they may produce good results in the short term, fail in almost all morbidly obese patients in the long term. Experts such as those at the National Institute of Health and the Canadian Obesity Network agree that surgery is the only therapy that produces long term weight loss. This permanent weight loss results in improvement/resolution of most of the obesity associated conditions mentioned earlier. Bariatric surgery is now performed with minimally invasive laparoscopic techniques (keyhole surgery) resulting in reduced recovery times for the patient, but most importantly, reduction in the complication rate seen with conventional “open” or cut down the middle surgery of 10 years ago. The most common bariatric surgical procedures are the laparoscopic gastric bypass, the laparoscopic sleeve gastrectomy and the laparoscopic adjustable gastric band. 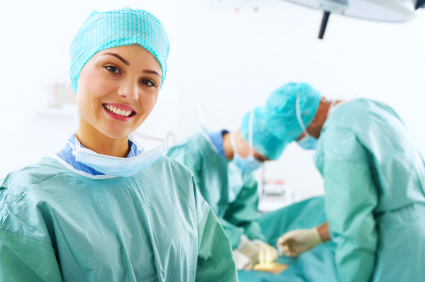 The main reason to have weight loss surgery is to recover one’s health, increase lifespan and improve quality of life. Patients who achieve long-term weight loss through bariatric surgery reduce their relative risk of cancer by 80% and their relative risk of death by as much as 89%. Dr. Nicolas V. Christou is Canada’s most experienced bariatric surgeon. He has been practicing bariatric surgery exclusively since 1995. His vast experience and continuous honing of his and his team’s laparoscopic surgery teams skills, ensures the lowest possible complications and the best long term results after bariatric surgery.